Amazon in the Classroom and on the Commute. . 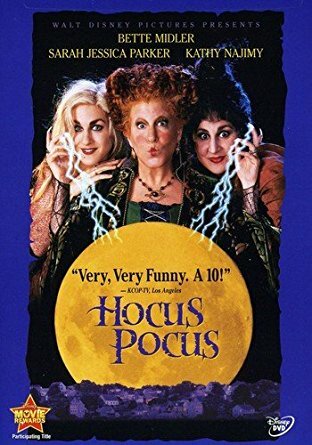 In my classroom this week, we watched Hocus Pocus. The library had a copy, but one of the other classes snatched it up. I figure it would be available on Netflix, but I was wrong. I checked CBS All Access and Hulu. No dice. Amazon has it, as does Google Play. I went with Amazon because I had some coupons which reduced the price by $2.00. Otherwise, Google and Amazon would have had the same price. The $.299 price is listed in the ad is for a rental. I've only rented a digital product once. It doesn't seem worth the cost but it is quick and easy. Live and learn. What I find amazing is that the DVD ranges from $4.99 to $24.99. Who pays $24.99 for a DVD? The Blu Ray is less than $18.00. Since I was already there, I loaded some music to my phone for the ride home. Twenty One Pilot's Levitate is catchy. The album is less than 11 bucks. So much for saving money.